Gallipoli-2015 has assembled an exemplary team of Australian and Turkish Gallipoli specialists. These noted specialists each has their own distinct area of expertise to share. From the battle weary ANZAC experience to strategic military operations and unique Turkish perspectives. Presentations throughout the cruise will build the story of Gallipoli from every side of the conflict. Knowledge and insight will be shared about surviving and dying at the front line and the abiding humanity from which two new nations walked forward. Learn what life was really like for ANZAC and Turkish warriors on the peninsula. How did they survive such bitter extremes and the daily dance with death? What were the battle-masters thinking? Explore the ANZAC diet, hear about lost loves and discover their humour and slang. What are the true origins of Two-up, digger or cobber, now part of folklore? Dr Basarin was born in Istanbul, Turkey. He trained as a chemical engineer and migrated to Australia in 1973. Apart from Melbourne, he has also lived and worked in Norway, the United States, Brazil, Germany and the UK in energy, oil & gas and engineering related fields as a manager. After retiring in 2002, Dr Basarin combined his passion for travel and history by leading tours to Turkey & to Gallipoli. He has a proven record of consistently delivering excellent tours for the last six years. In 2005, Dr Basarin received Victorian Premier’s Award for Excellence in Multicultural Affairs for his long-time work on Gallipoli. Dr Basarin has given many talks, written many articles and appeared on TV features and radio programs on Gallipoli, presenting the Turkish side of the tragic Gallipoli campaign. For a decade, Dr Basarin has been involved with the AE2- Australian submarine project. He acted as the Turkish advisor to the 25- strong team that travelled to Turkey to survey the submarine in 2007. His brainchild AE2 Plaque Project has been implemented in Sydney, Fremantle and at Gallipoli. 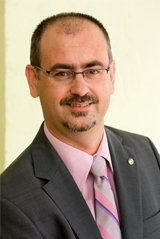 In 2011, Dr Basarin has completed his PhD studies working with Prof John Hall of Deakin Business School. 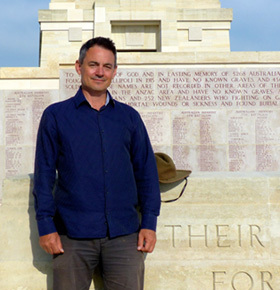 The title of his doctorate thesis was “Battlefield Tourism – Anzac Day Commemorations at Gallipoli”. A long time member of Rotary International, Dr Basarin has been actively involved in charity and community work. Dr Carol Scott’s expertise in building and measuring the value of museums is sought by clients internationally. She has worked with the National Museum of New Zealand (Te Papa Tongarewa), the Western Australian Museum, the Museum of London, the Vasa Museum in Stockholm, the Vapriikki Museum Centre in Finland and the Herculaneum Society in Oxford. In demand as an inspirational conference speaker and consultant, she also publishes widely and is the editor of ‘Measuring Museum Value: creating sustainable futures’. 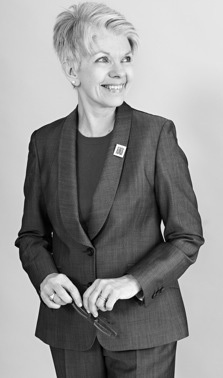 She is on the Committee of the International Council of Museums UK and an executive member of ICOM’s Marketing and Public Relations Committee. Dr Scott’s second PhD in ancient history and archaeology explores the role of women in the ancient and classical world with specific reference to women and civic religion in Republican Rome. Dr Carol Scott will speak on the role of Troy as a centre of convergence, its position as a major Bronze Age centre, its significance as an early site of modern archaeology and the role of Helen in making its story a source of continuing fascination and romance. Dr Kevin Fewster has edited the Gallipoli diaries of Australia's foremost Gallipoli reporter, Australia's official war correspondent and official historian, Charles Bean (Bean's Gallipoli, published 1983 and 2007). In addition, he co-authored A Turkish View of Gallipoli (1985) and Gallipoli - the Turkish story (2003) which has also been published in Turkish. He has visited Gallipoli several times. He is the Director of the Royal Museums Greenwich in the UK, having previously been Director of the South Australian Maritime Museum, Australian National Maritime Museum in Sydney and the Powerhouse Museum, Sydney. From 1996–99 Dr Fewster was the President of the International Congress of Maritime Museums, the world peak body for maritime museums. Between 2004–07 he was Chairman of the Council of Australasian Museum Directors and a director of the Collections Council of Australia. Before working in museums, Dr Fewster taught History at the University of New South Wales, RMC Duntroon (Canberra) and Monash University (Melbourne). He has given many talks and has published many articles and conference papers. He holds a PhD from the University of New South Wales and a Bachelor of Arts with Honours from Australian National University, Canberra. Kevin's doctoral thesis researched military censorship in Australia during the Great War. 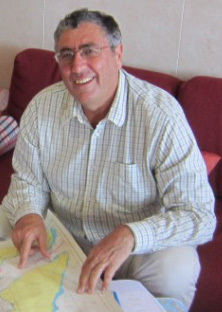 Dr Fewster was made a Member of the Order of Australia in June 2001 for service to museum administration and the preservation of maritime history. During a long career, Marcus has coordinated travel for Gallipoli documentary makers, diplomatic contingents and AE2 Submarine researchers. He speaks with authority on Turkey’s celebrated attractions and will make an enlightening Ephesus presentation. An experienced and inspirational speaker, Brad Manera, is CEO and Senior Historian of the Anzac Memorial in Hyde Park, Sydney and has maintained a life-long passion for military history and battlefield archaeology. 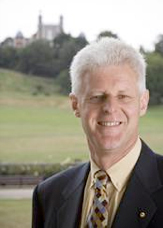 Mr Manera has enjoyed a long career as curator and historian in some of Australia’s pre-eminent museums, including the Australian War Memorial (1990s – 2007). Brad is a member of the editorial team writing the official history of NSW in the Great War. As a historian for the award-winning documentary Gallipoli; The Front-Line Experience (2005) by Tolga Örnek, Brad Manera advised on events, weapons, uniforms and sets. He is also historian for Waler; the Great Australian War Horse due for release next year and the International Gallipoli art exhibition Our Friend the Enemy; Gallipoli landscapes 1915 – 2015. For 30 years, Mr Manera has also been leading tours to the places where Australian history was made. Since attending the 75th anniversary of the Anzac landing with the last surviving Anzacs he has been a frequent visitor to Gallipoli. His contributions will, no doubt, bring colour and life to this extraordinary historical travel event.